The project managed by the Institute of Civil Military Technology Cooperation aims to develop a small-sized military drone that can load a 500g warhead and related systems by using commercial drone technologies and vertical takeoff and landing technologies. 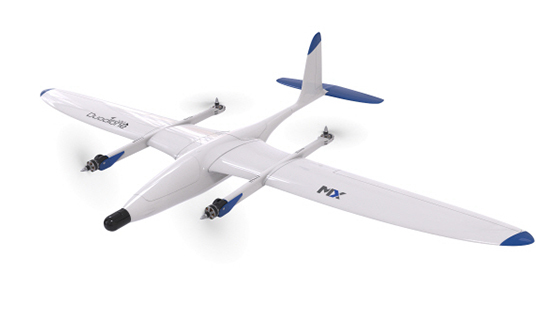 [Photo provided by LIG Nex1]LIG Nex1, a South Korean aerospace manufacturer and defense company, said Wednesday it will lead a small-sized military drone development project to contribute to reinforcing military strength of the country. The new drone will be able to fly for 40 minutes with warhead loaded, according to the company. LIG Nex1 will be in charge of overall development of systems like ground control and support systems and mission equipment. The design and development of flight platform will be assigned to another participant Sacheon Aerospace Manufacturing Ind. Co. (Samco). The Korean military is planning various operation tests for the drone system for deployment by 2021.